When it comes to adding something unique to your next party choose a fortune teller or tarot card reader in New York. Your guests will have fun learning what the cards hold for them when you hire an NY fortune teller to entertain. Have Your Fortune Told By TarotNYC! Have a professional fortune teller at your special occasion and have them foretell the amazing future that is yet to come. 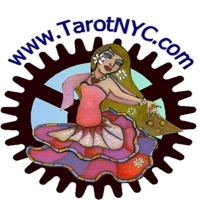 TarotNYC offers to provide tarot card readings here in New York. They provide services where they will perform card readings for you at any special occasion. Guests will definitely enjoy having their fortune told and with TarotNYC, you will be sure that they will do a great job on tarot card readings. A professional tarot card reader for over 15 years, Crystal and Susan offer to make your event a unique experience for the guests, where they have an intuitive and positive approach in doing card readings. 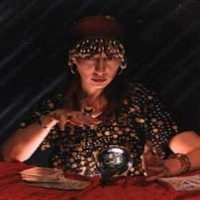 Sherrie Lynne, A Professional Fortune Teller In New York! 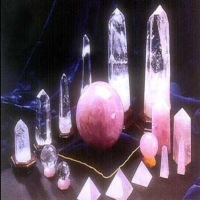 Party Psychic Sherrie Lynne offers to provide fortune telling at your special occasion, where guests will enjoy having their great fortunes told. Sherrie Lynne dedicates herself to providing excellent service for you and to your guests, she will provide tarot card readings, crystal ball readings and palm readings for your special event. So have party psychic Sherrie Lynne come over to your event and let her read the future of everyone. You will be sure that the guests will enjoy her great fortune telling. Mrs. Martin's Psychic Shop, Home Of Amazing Fortune Telling! Let Mrs. Martin tell to you your good fortune and provide psychic guidance. A renowned psychic and fortune teller here in New York, Mrs. Martin offers to provide her fortune telling services at your special occasion. Whether it is a company event, birthday or anniversary, Mrs. Martin will offer to read to you your great fortune. So let the best fortune teller perform her amazing work at your event, call Mrs. Martin and have her read good fortunes at your party. Raven, A Fortune Teller Who Never Fails To Entertain! Raven, a great fortune teller here in New York, will provide great entertainment for the entertainment of the guests. Have her perform her fortune telling service at your special occasion, your guests will surely be amazed and astounded by what she will reveal to them and also guests will definitely be satisfied with the service of Raven. So let the expert psychic perform at your event and you will be sure that your guests will love the work of Raven . 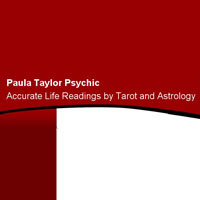 Paula Taylor, A Gifted Fortune Teller And Psychic! 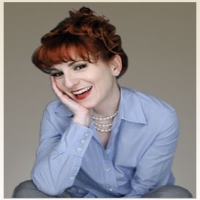 Paula Taylor provides a unique and comfortable session in fortune telling in which she will provide consultations on marriage, relationships, health and finance, and help you in managing those situations. A renowned fortune teller and a psychic here in New York, Paula Taylor offers to have here fortune reading sessions at your special occasion, guests will love her great advice and be intrigued by her foretelling of the future. Great for any special occasion, fortune reading by Paula Taylor offers an amazing experience for everyone to enjoy and be amazed. So call Paula Taylor and have her read your guests' great fortune. Amazing Psychic Readings By Eva! A gifted and experienced fortune teller in New York, Eva offers an experience in which she provides a fortune reading that is accurate with a positive and healing approach. She provides experience in which you will be intrigued by what she can foretell and reassures you with her great advice. Great for any special occasion, Eva can provide entertainment for the guests in which she will read their great fortune and provide an accurate detail of what's to come. You will definitely love having Eva do her fortune reading sessions at your event. So call her today or send her an email, she already knows that you're going to make a reservation. Experience Psychic Readings By Sasha! 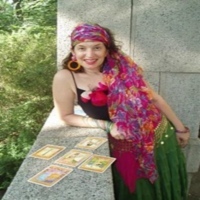 A gifted and dedicated fortune teller and psychic reader in New York, Sasha offers to provide palm reading, tarot card reading and crystal reading services to you. Each session offers a revealing experience about yourself where you will come to learn more of your true potentials. Sasha also offers to provide her fortune reading sessions at any of your special events, guests will surely love her service and have a wonderful experience with the Psychic Readings of Sasha. Have Sasha entertain your guests at your event and have her do a fortune reading session for your guests. You will surely have a fun and memorable event with the help of Sasha's psychic reading. Fortune Teller, A Great Entertainment For Your Party! Have a fortune teller at your party and let your guests enjoy and have a great time having their fortunes read. 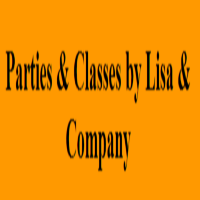 Parties & Classes by Lisa & Company offers to provide fortune tellers for your special occasion, you will surely love the service that they can provide. Whether a tarot card reading, palm reading or crystal ball reading, the fortune teller will tell you your great fortune that lies ahead. So make your reservations and call Parties & Classes by Lisa & Company, you will be sure that they will help you with your party needs. Make Your Party Unique And Have A Fortune Teller! Let's Have a Party is a company that specializes in event organizing and party entertainment. They offer to provide professional fortune tellers at your special occasion, making sure everyone gets a great fortune and has an amazing time. The fortune tellers can read your great fortune through tarot card reading, crystal ball reading or palm reading, everyone will definitely enjoy having their great fortunes read. So make your party here in New York special and have a fortune teller read great fortunes to your guests. Contact Let's Have a Party today and let them provide the entertainment for your party. Let Fahrusha Tell You About Yourself! A gifted and an expert psychic in New York, Fahrusha offers to read your fortune and tell you an intriguing and accurate fortune that is yet to come. A renowned fortune teller in New York and was featured in several New York magazines, Fahrusha offers services such as tarot card reading, palmistry, rune stone reading and many more. She provides accurate information and answers every question. Fahrusha also provides fortune reading sessions at any special occasions where she will definitely entertain the guests by reading their good fortunes. Have Fahrusha offer her services to you and make your event a wonderful experience in which guests will have their fortune read by the best psychic in New York.